What in the World is #WesleyWednesday? If you’d like to catch that weekly cheer, hop over to my Twitter page on Wednesdays at 9:15 AM Eastern for #WesleyWednesday, where I’ll share a random photo of Wesley. I also retweet the photo in the evening so the PM crowd can join in. Speaking of which, any suggestions for future #WesleyWednesday photos? ← Who Were the First Five Authors You Read in Your Favorite Genre? What does Wesley want from life? I’d love to see pics of him pursuing his dreams. Because someone must want something all the time, right? Hmmmmm. Wesley and I will need to have a conversation about that. He’s a happy-go-lucky owl, so he likes to take life as it comes, so to speak. 😉 But I’ll keep that idea in mind for future #WesleyWednesday photos. Thanks! Also I love the friendship in both LOTR & the Book Thief! Ooh, not sure what I’d like to see Wesley do next… Hmm… Perhaps, see if engage with other woodland creatures? Or in his ‘natural’ habitat? I’d also love to find out what his favourite book is, movie is, etc. I’m loving Wesley Wednesday so far! 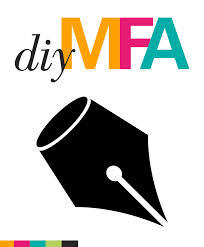 I saw that when you commented at the post on DIY MFA. 🙂 So I’m glad to hear the timing worked perfectly for you!